I'm having a moving sale!!! 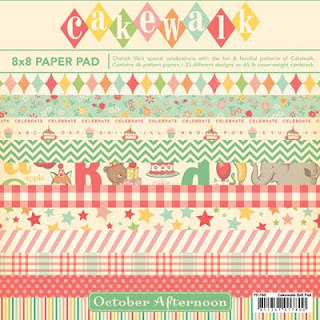 With a chance to win some OA Cakewalk papers! Hi there! Since I am moving in about 2 weeks...and need to clear some things out, I am having a BIG moving sale!!! I still love these items, which means I am a little sad to let them go, but when you have so many things that you can't find anything...then it's time to thin out! And before moving seems like the perfect opportunity!!! 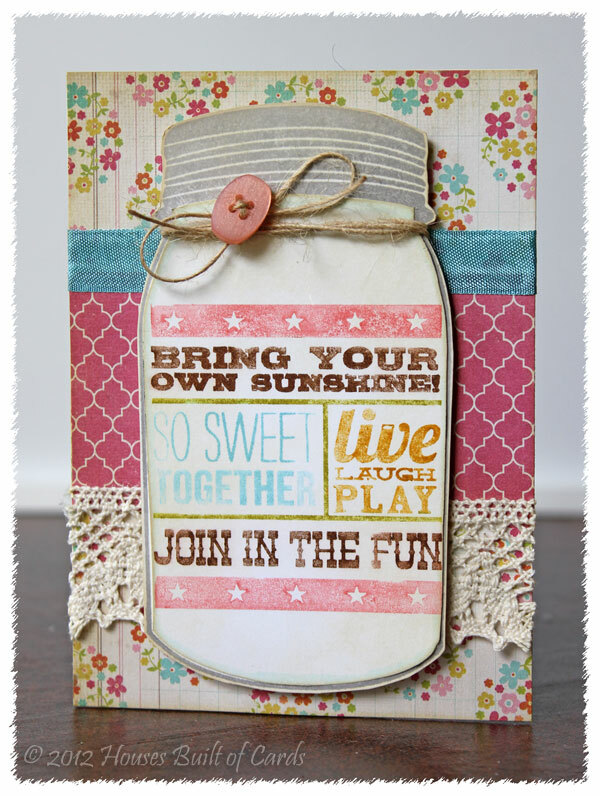 Click HERE, or on the tab at the top titled CRAFT STUFF FOR SALE to see all items and read the details!!! Thanks so much for helping me clear some things out!!! 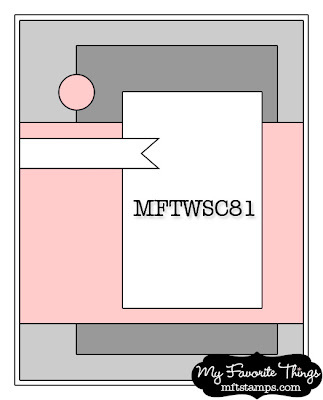 Which means the winner is...Cricut Couple!!! CONGRATULATIONS!!! Thanks to everybody else for joining me this past week! 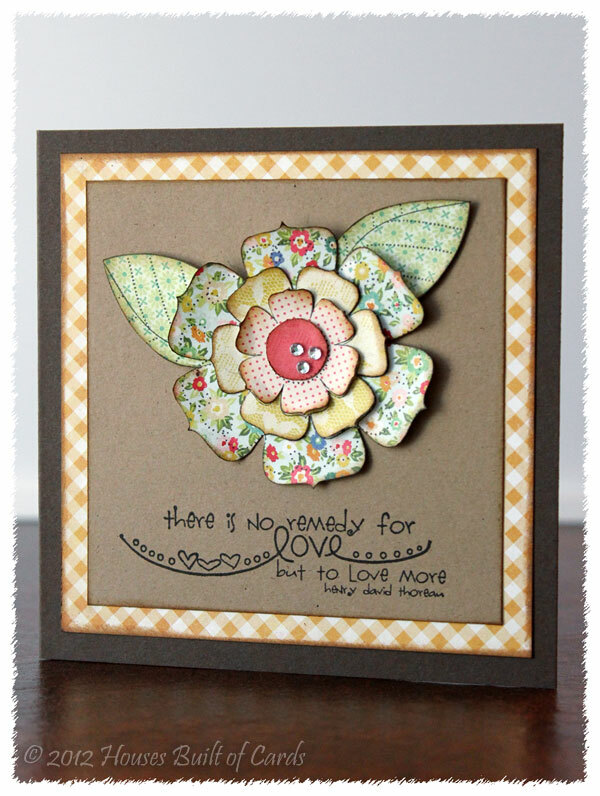 I had so much fun playing with my Unity stamps again for a week! Have a great weekend! 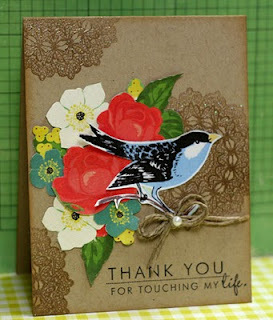 Before attaching the layers, I inked the edges of each layer with Tim Holtz distress ink in Vintage Photo. Then I put a dot of fast drying glue in the center to adhere each layer, and after it dried, I curled all the edges up to give it some dimension. Added 3 little stick on gems slightly off center in the middle of the flower, and tucked the leaves from the same set (also fussy cut) behind the flower. 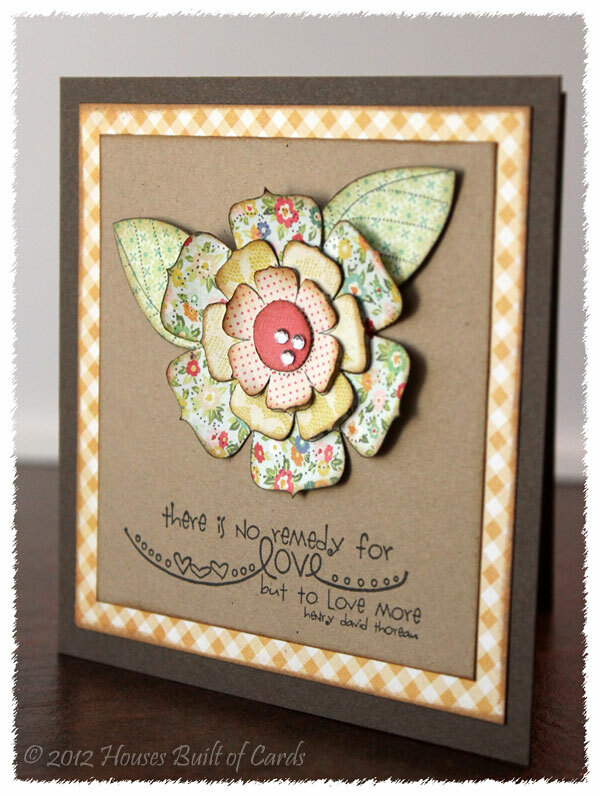 Finished off with a sentiment from another Ippity set called Quotes a'la Happy, and more ink on the edges of the kraft paper and pattern paper in the background. Thanks for dropping by to see me today! Remember to leave a comment before you go for a chance to win 2 Itty Bitties of your choice! I will draw a winner and post tomorrow morning! 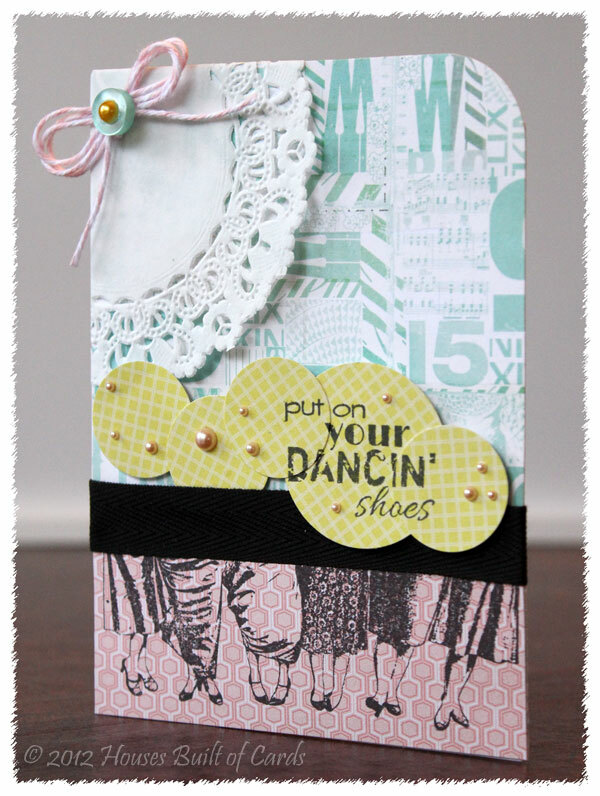 Edited to Add: I'm not sure if it is okay to link up a previously made creation - but I immediately thought of this card when I saw the Moxie Fab World Focal Point Challenge! So - I'm linking it up there! 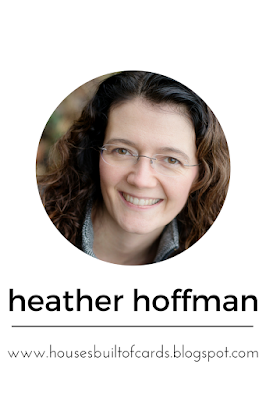 Okay - I am SOOO excited to be able to share this with you! I seriously don't think Peachy Keen has EVER had this amazing of a sale!!! 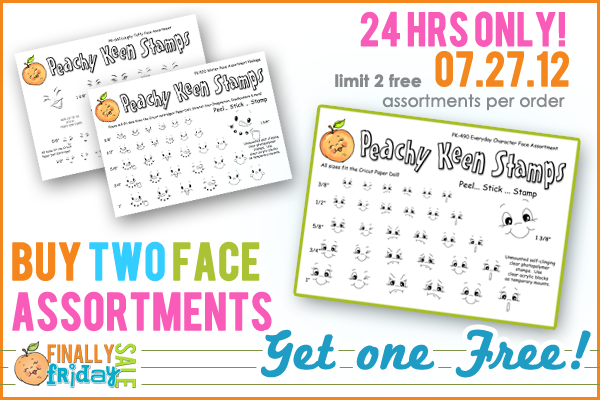 If you have been itching to get yourself some of Peachy Keen's adorable face stamps, or want to add to your collection - this is the PERFECT opportunity!!! For every two assortments you purchase, you will receive one for free!!! Click HERE to head over and check out all the details!!! Hello! The end of the week is coming soon - but today I have my post for Day 4 of Growing in Unity! 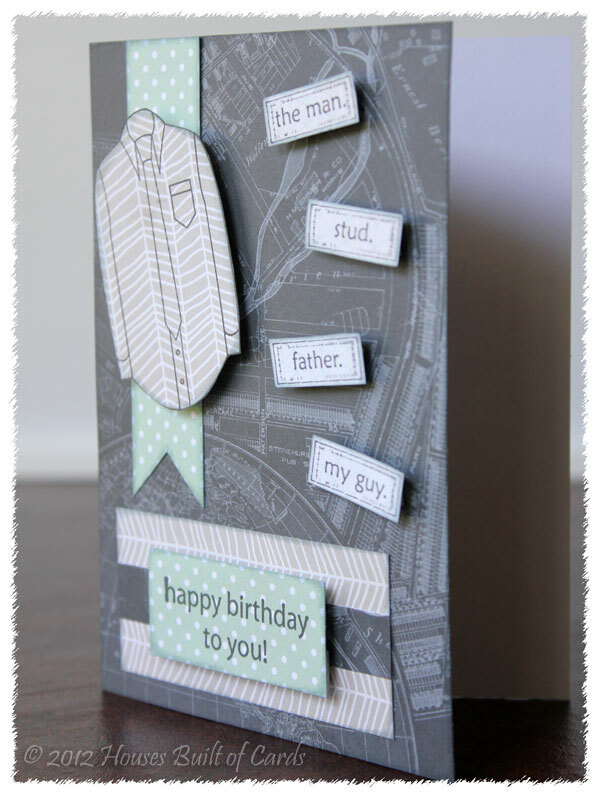 You might remember I mentioned my husband's birthday on my Day 2 post, and how my original card ended up a bit girlie - so I thought I better share the card I ended up making for him! 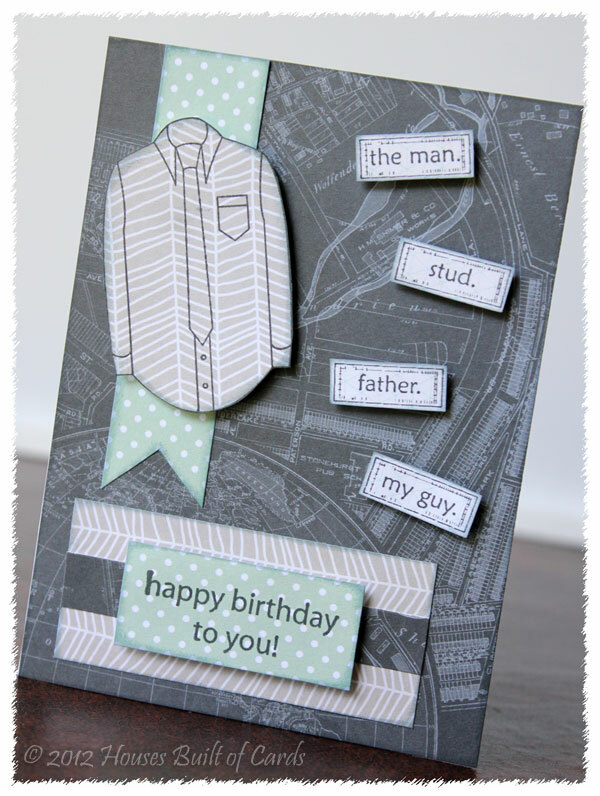 Here it is - simple and easy, but that seems to be the way to make a guy card I suppose! I had purchased this stamp almost a year ago for Father's Day, and go figure - never inked it up! 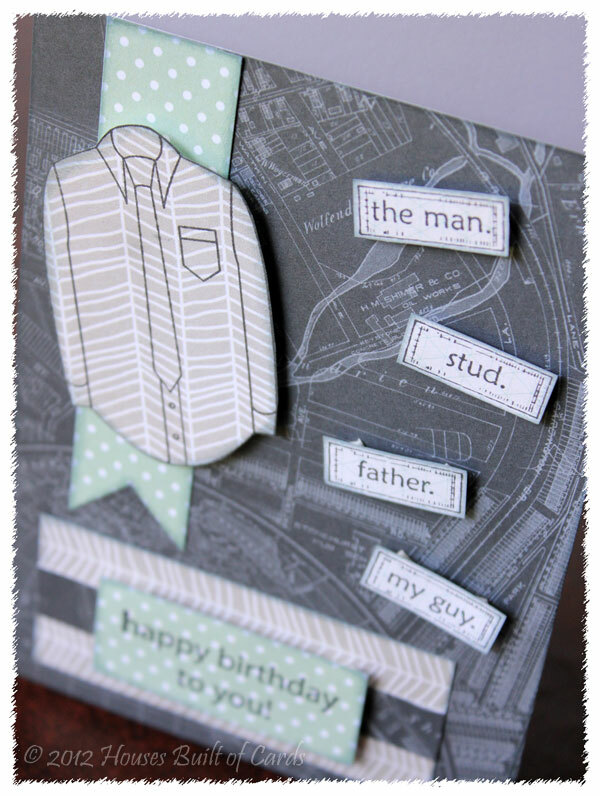 It seemed like the perfect set to use for his birthday card! 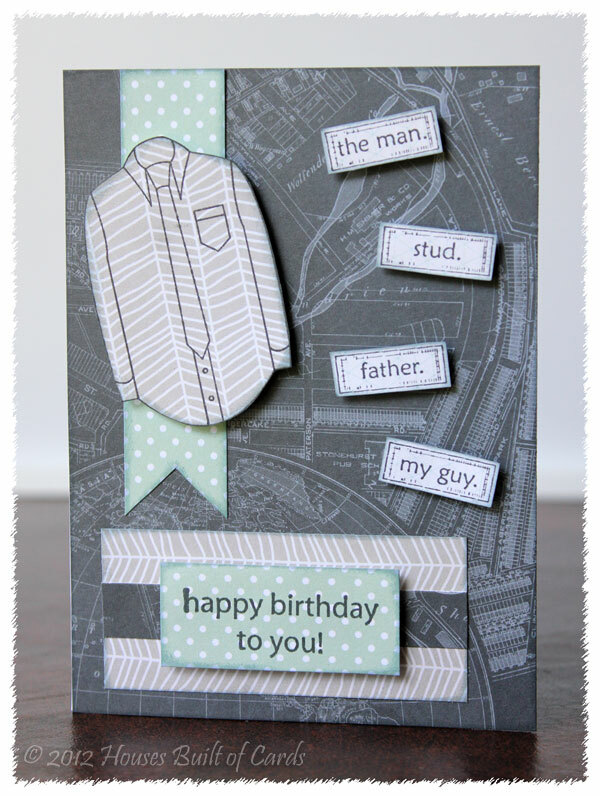 I used some papers from a Studio Calico 6x6 paper pad to stamp the shirt and all the sentiments along the side, then fussy cut out each of them. 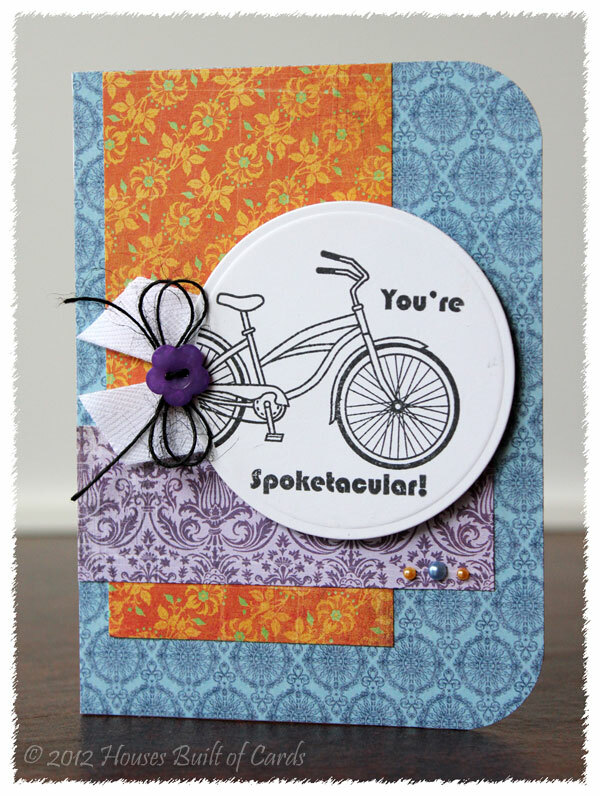 I'm pretty sure the happy birthday sentiment came from a recent Kit of the Month - sorry for being a bit scatterbrained on that one! 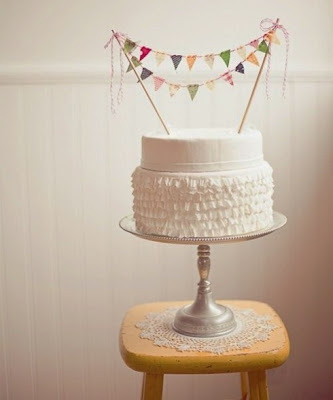 I hand trimmed the banner and part behind the birthday sentiment, inked everything with Tim Holtz distress ink, then adhered the shirt and sentiments with foam adhesive. 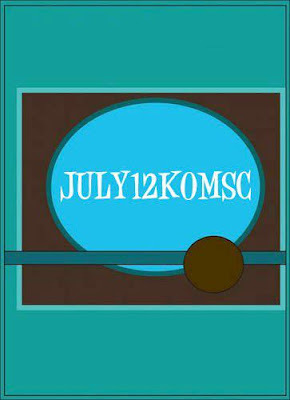 Hope you enjoyed my simple guy card! Those ones are SOOO hard for me for some reason! They always seem to end up girlie for some reason...maybe because I'm a girl and have 2 daughters! Oh well! 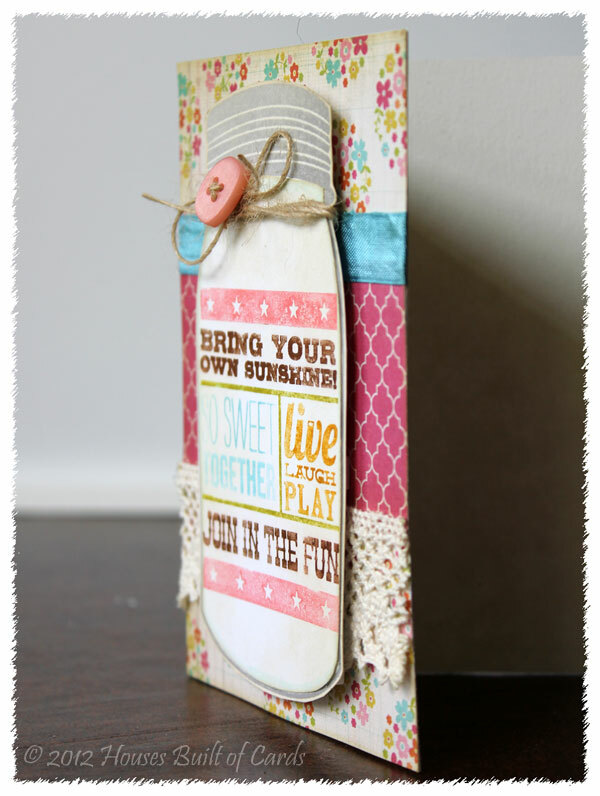 Remember to leave a comment to be entered to win 2 Itty Bitties! I will draw a winner on Saturday! 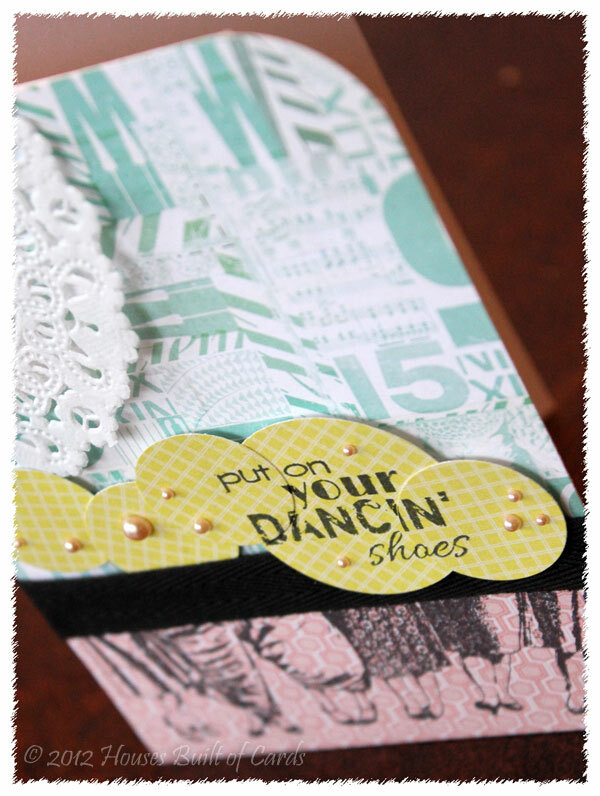 I colored in the stamp for the center image with my Tim Holtz distress markers. LOVE the multi-colored effect! 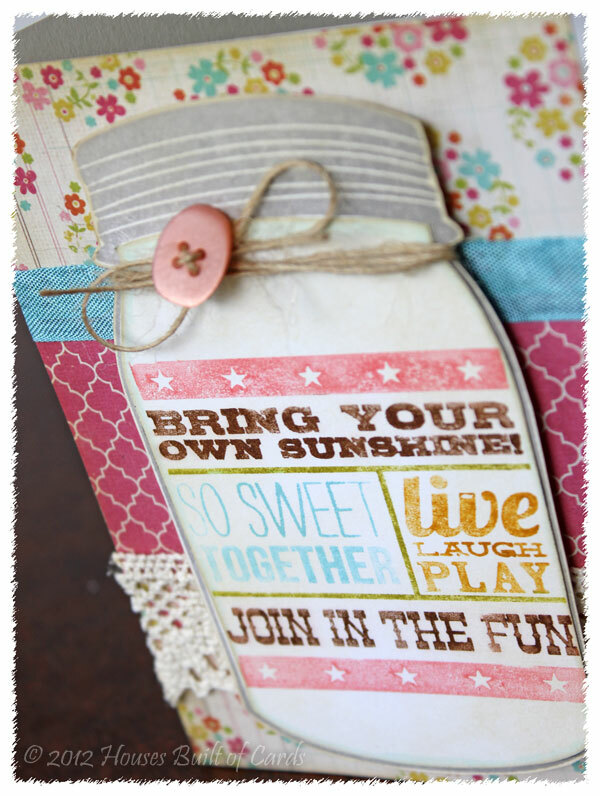 I had originally done that after stamping the jar in black, but decided it looked better for this card in gray, so I cut out the inside of the jar, then attached it to the jar I stamped in gray. MUCH easier than doing the whole coloring thing over again! 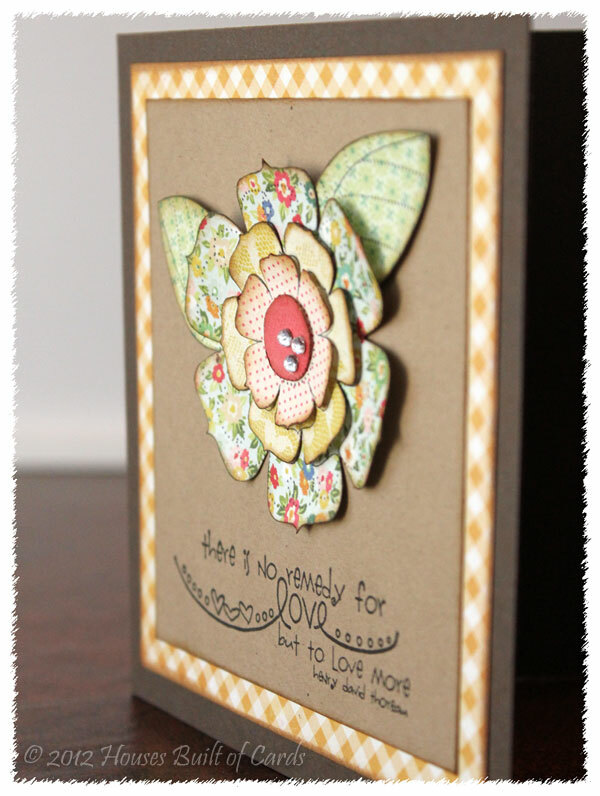 I generously inked the edges of everything with Tim Holtz distress ink in Antique Linen - my FAVORITE! The papers are, appropriately, by Simple Stories (appropriate because the stamp is a Simple Stories set made by Unity). Added some jute twine from Ribbon Carousel wrapped around the top of the jar, and a PTI button in the center of it. Also layered some beautiful lace (also from Ribbon Carousel), and some seam binding ribbon that actually was wrapped around an order of crafty stuff I got in the mail! So I saved it and recycled it on this project! I attached the jar with foam adhesive so it pops from the background a bit. 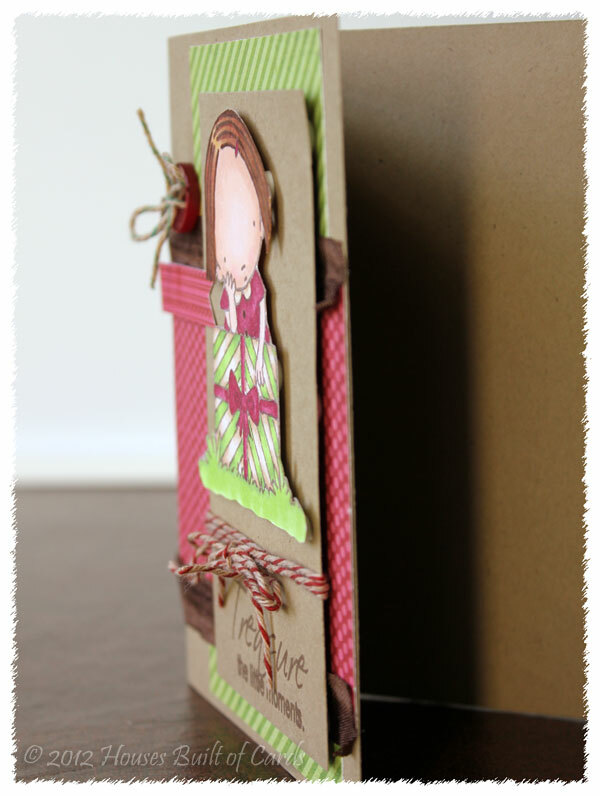 Here is a closer look at the dimension, and that beautiful jute twine! And that's it! I think this is destined to become one of my FAVORITE stamps ever, if it isn't already! SOOOO in love with it! So thanks for dropping by once again! As with each Growing in Unity post this week, make sure and leave a comment for a chance to win 2 Unity Itty Bitties of your choice! I will draw and post a winner on Saturday, and it could be you! Have a wonderful day today! 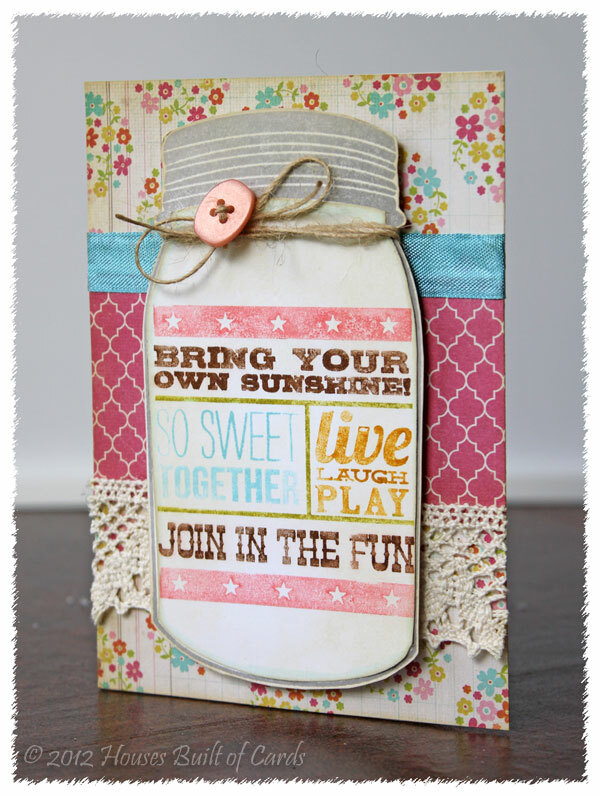 Edited to Add: I am also linking this up with the Jars of Joy challenge on the Moxie Fab world - since this is one of my favorite jar cards EVER!!! 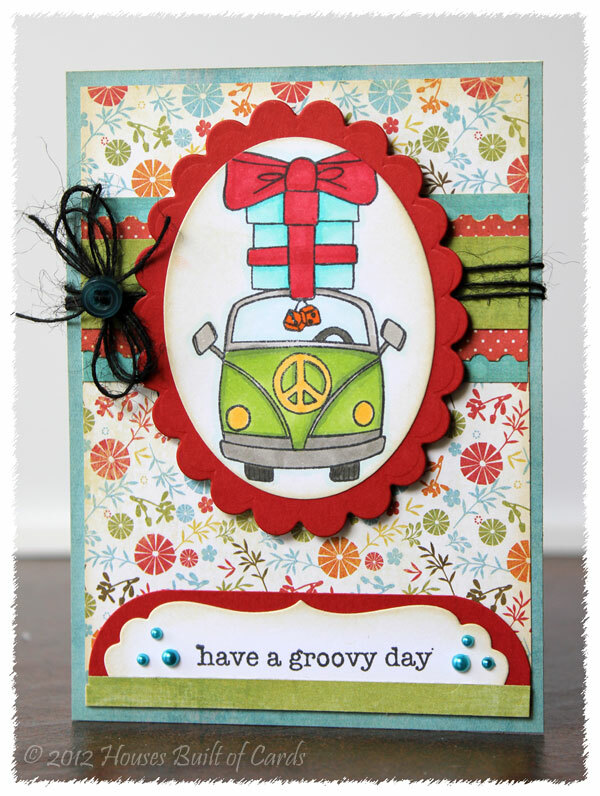 Growing In Unity - Day 2 - Have a Groovy Day! 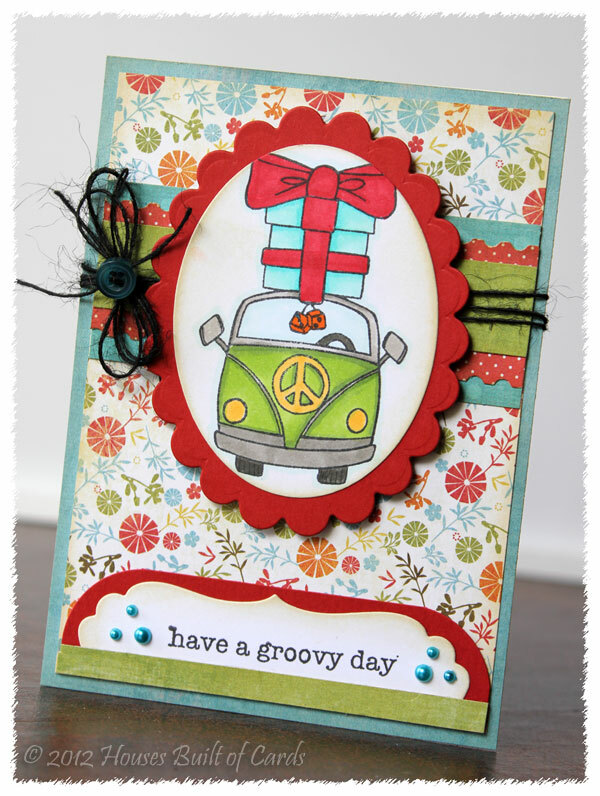 I just LOVE this groovy little van image from the Unity Ippity line of stamps! I vaguely remember having one of these vans when I was a little girl...although I am pretty sure it was just white - or at least cream colored! Anyway, I stamped it on an oval cut with my Nestabilities, and colored it with Copic markers, then inked the edges with Tim Holtz distress ink. Matted it on a cardstock scallop oval, also cut with a Nestabilities die. 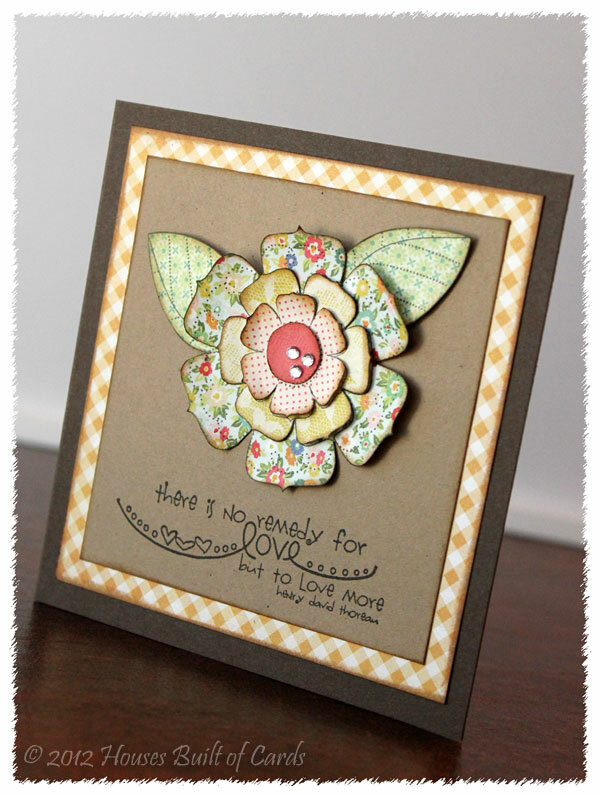 All my pattern papers are from My Minds Eye, and inked with Tim Holtz distress ink in Antique Linen. 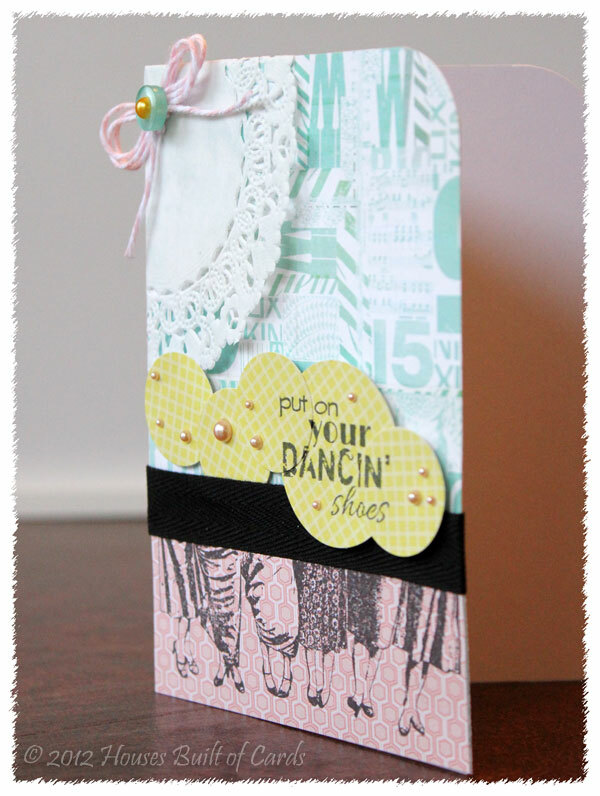 I used a Fiskars postage stamp border punch for one of the layers underneath the main image, and tied some black jute twine from Ribbon Carousel behind it, with a PTI button in the center of the bow. 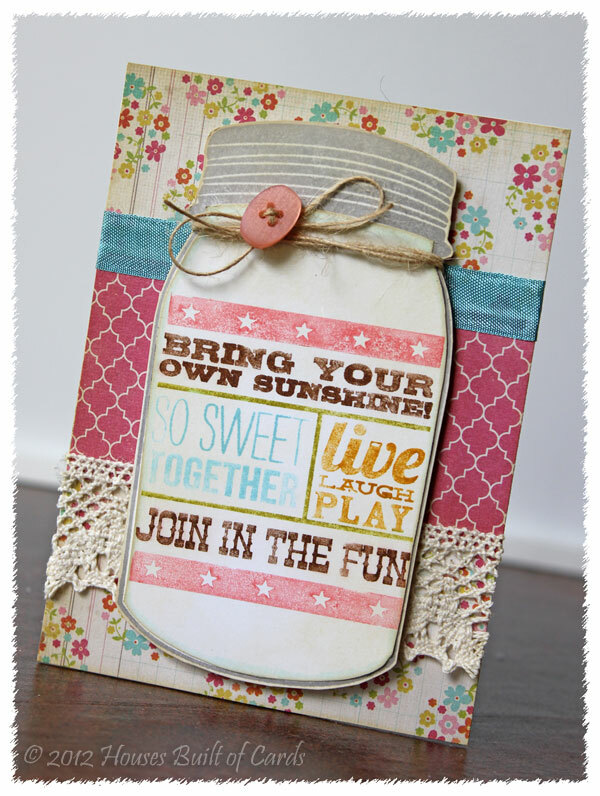 I used a MFT Die-namic frame to stamp the sentiment on, then trimmed off the bottom, and mounted it on a little more of the red cardstock, with rounded off corners. Added a couple of stick on pearls to finish it off! 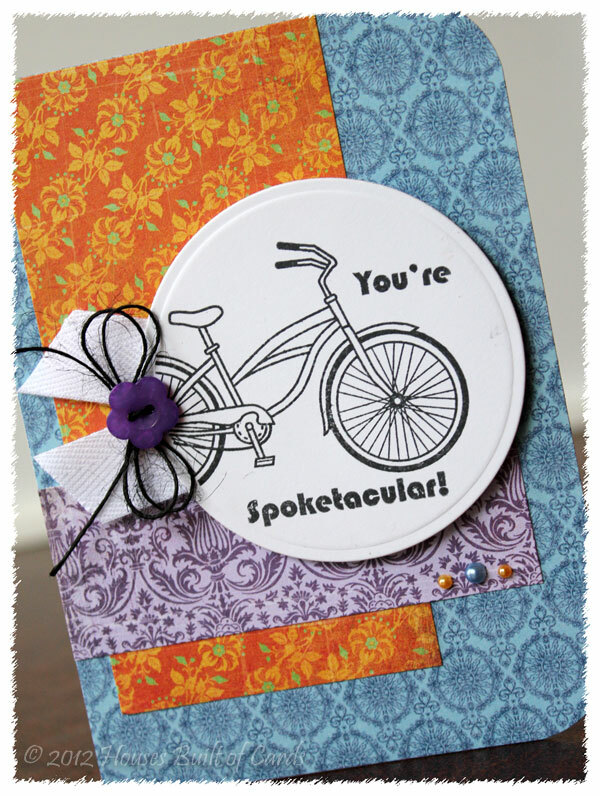 I hope today's card made you smile! Make sure and leave a comment for a chance to win 2 Unity Itty Bitties of your choice (like this one for example!) And come back every day this week for even more chances! 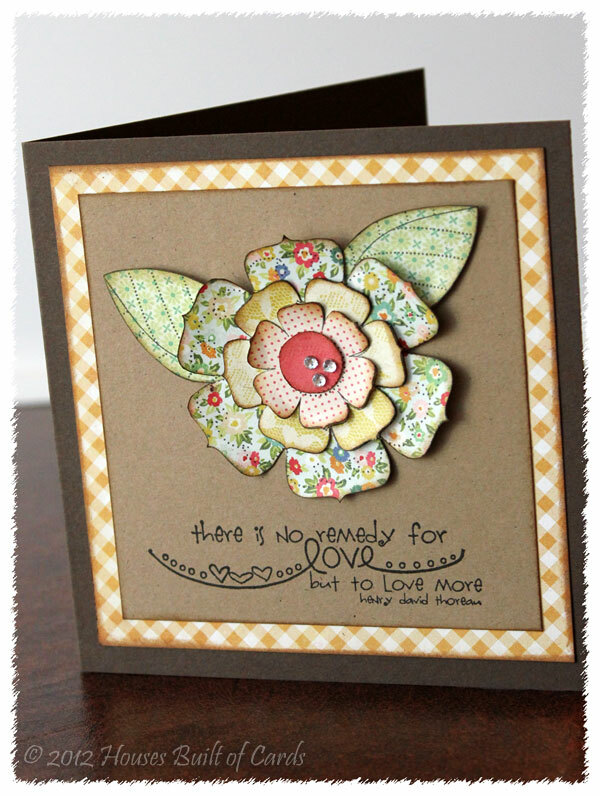 Hope to see you tomorrow - can't wait to share tomorrows card with you!!! Such a striking color combo! I never would have put these together on my own - but that's what I love about challenges! They totally inspire me to try something new! 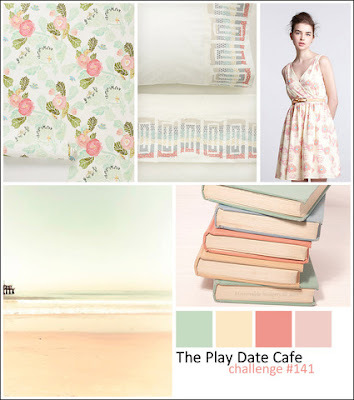 And I now find I LOVE these colors together! I stuck fairly close on the sketch, just pulled a couple of the elements either up or down to fit my design. I layered the pattern papers on the card - the orange and purple are from an older Basic Grey paper pad, and the blue is from a Theresa Collins paper pad. 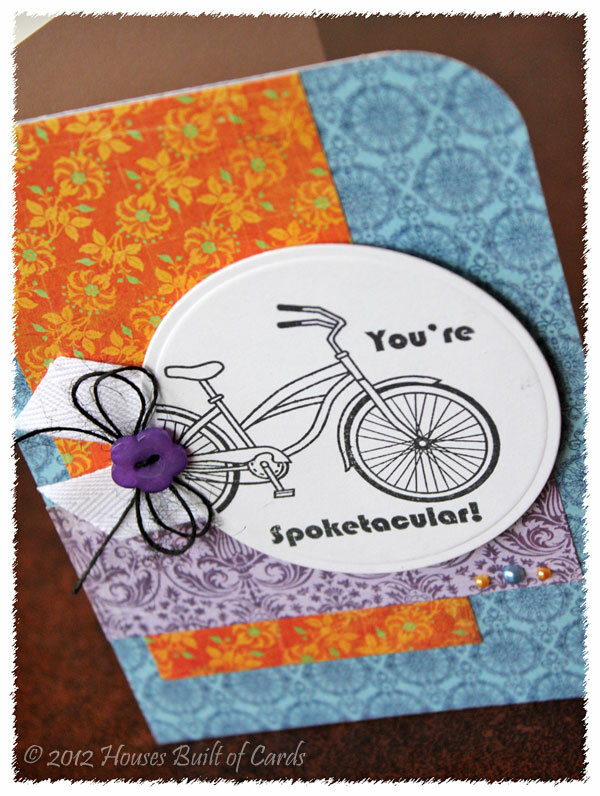 I cut a white circle with my Spellbinders Nestabilities, and stamped the bike image from the "Just Riding By" Market Street stamps set so that it was a little off the edge. Tucked some white twill ribbon from Ribbon Carousel behind the circle template, then added a black jute twine bow with a tiny purple button from my stash. Finished off with a couple of stick on pearls, and rounded off the top right corner. I'm glad you stopped by to visit today! Hope you're having a wonderful day! 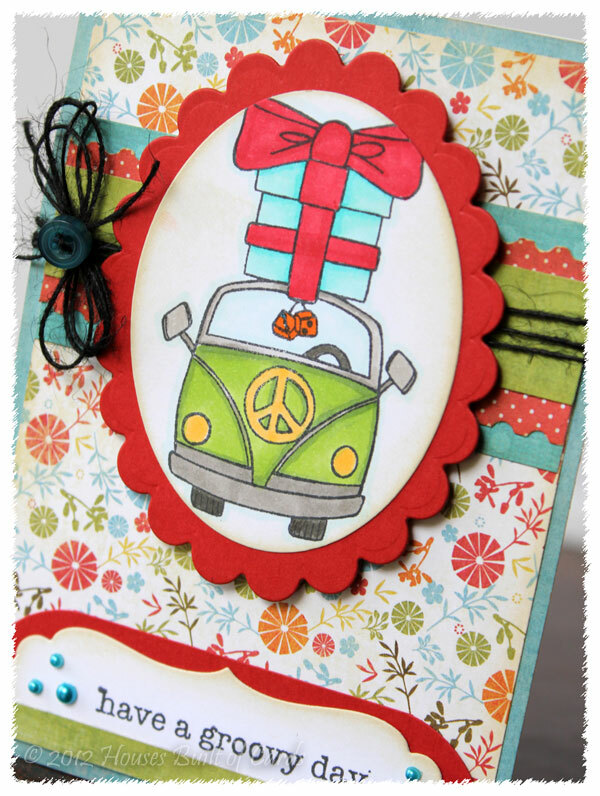 My Craft Spot Challenge - Christmas in July! Good morning! It's time for a new challenge over at My Craft Spot! 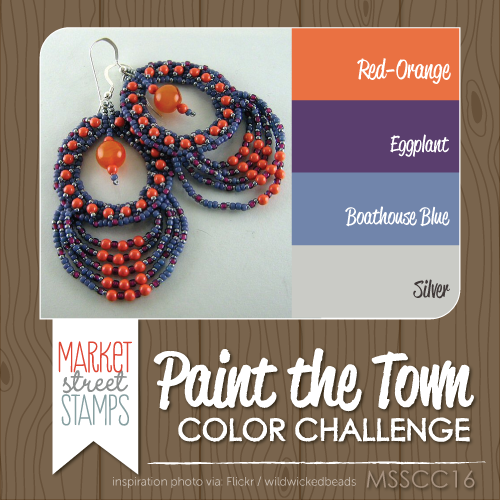 This time the challenge is Christmas in July! This was a bit more of a challenge than I expected...because much to my surprise, I didn't have any if My Craft Spot's Christmas stamp sets! So I had to get a little more creative! Hopefully this is Christmas-y enough! I used a cute Pure Innocence image, and colored her with my ever-growing Copic collection. 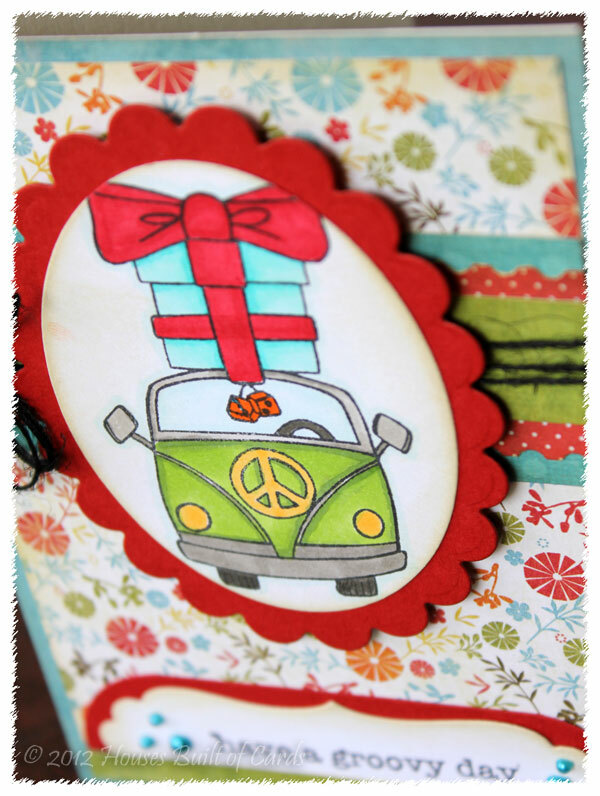 The papers are from a Christmas paper pad I had in my stash -don't remember who they are by even! And here is a closer shot of my slow learning of Copics! I think I might be getting the hang of shadowing a little bit, even though I have a long way to go! Still think they are so much fun! And that's it! My Christmas card that could also be used for a birthday card, if you wanted too! 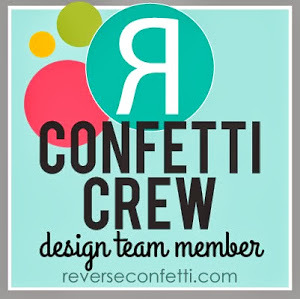 Now I hope you will hop on over to My Craft Spot and check out what the rest of the Design Team made, and also check out the details on how to join in on the fun! 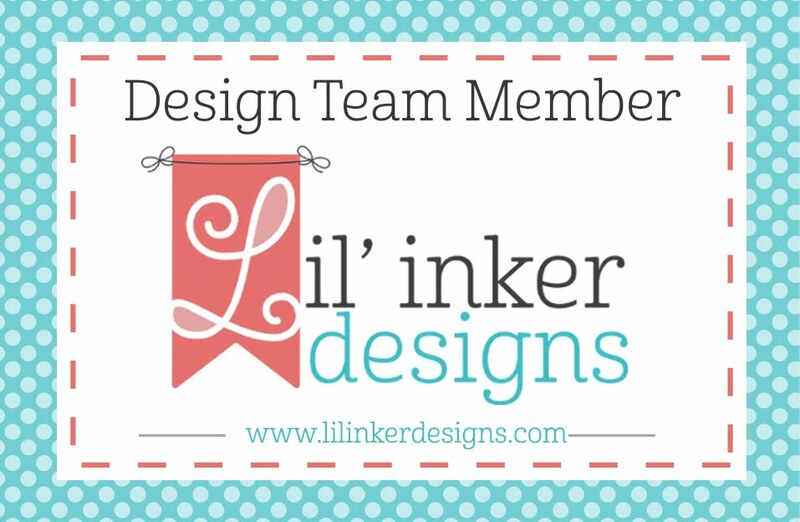 Would love to see YOUR Christmas in July project too!!! 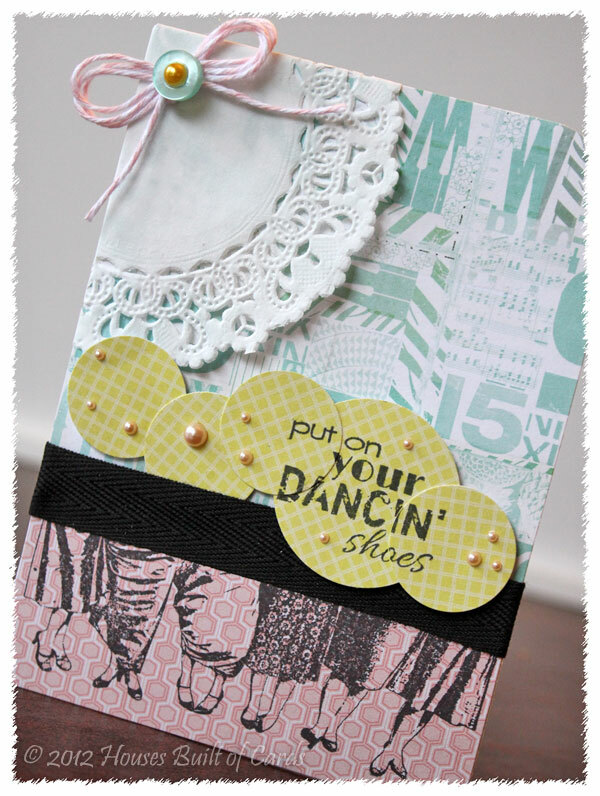 Growing in Unity - Day 1 - Put on your Dancin' shoes!!! Yep - I'm excited to get to do another week of Growing in Unity - so I've got my dancing shoes on!!! 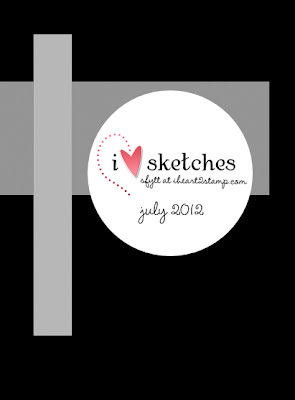 Make sure and leave me comments all week long to be entered to win 2 Unity Itty Bitty stamps of your choice! TOTALLY fun - and the hardest part will be just picking two!!! I just LOVE this adorable image from the newest Unity KOTM for July, and had to use it! I think I'm going to give it to my friend who just had surgery on her feet about a week and a half ago to get rid of a bunion! She is still off her feet for several more weeks (which is a difficult task with a houseful of little boys to take care of!) - but I'm sure she will be ready to dance as soon as her foot heals all the way - or at least go shoe shopping! 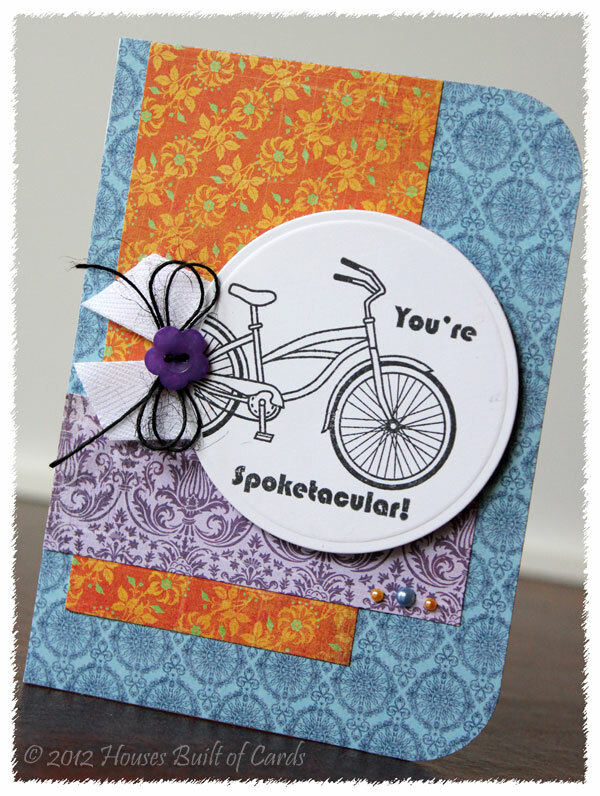 I used the colors - but was surprised where I ended up on my card! 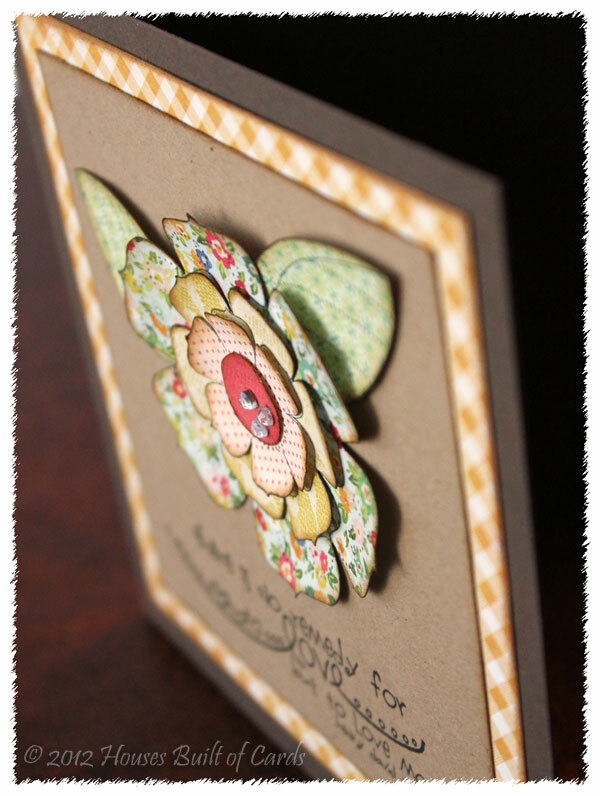 I was thinking a lot more shabby chic and elegant with this color story, and instead, I think this card ended up a little more modern and vintage! Either way is fine - just kind of funny! 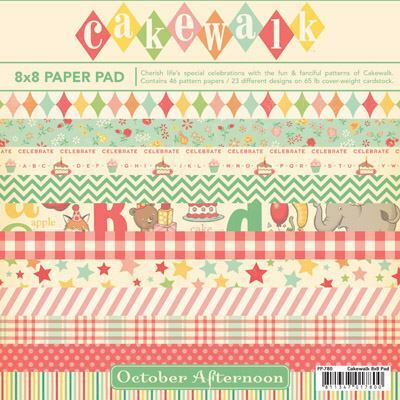 All my papers are from one of my first Studio Calico 6x6 paper pads: Heyday. I stamped the image right on my pattern paper. 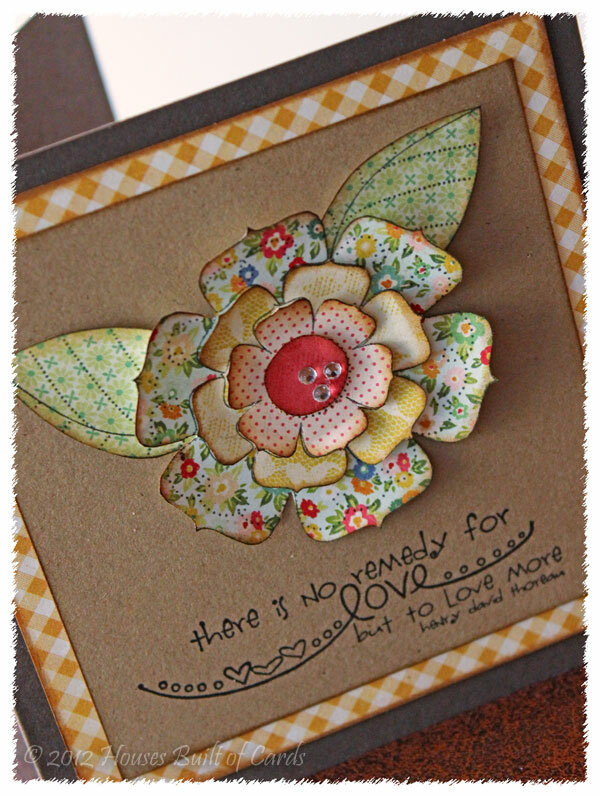 Next I used a circle punch in two different sizes to cut several circles out of the yellow paper, layered them in a row and glued them together, then stamped my sentiment over the top. Ran a strip of black twill ribbon from Ribbon Carousel over the top of the image, then attached the yellow circle border over the top with foam adhesive, tucking one circle behind the ribbon. Added a bit of bling - then couldn't resist adding a doily in the top corner. Then...because that looked like it needed a bit of something, I made a bow out of Baker's Twine, added a PTI button, and a yellow stick on pearl. 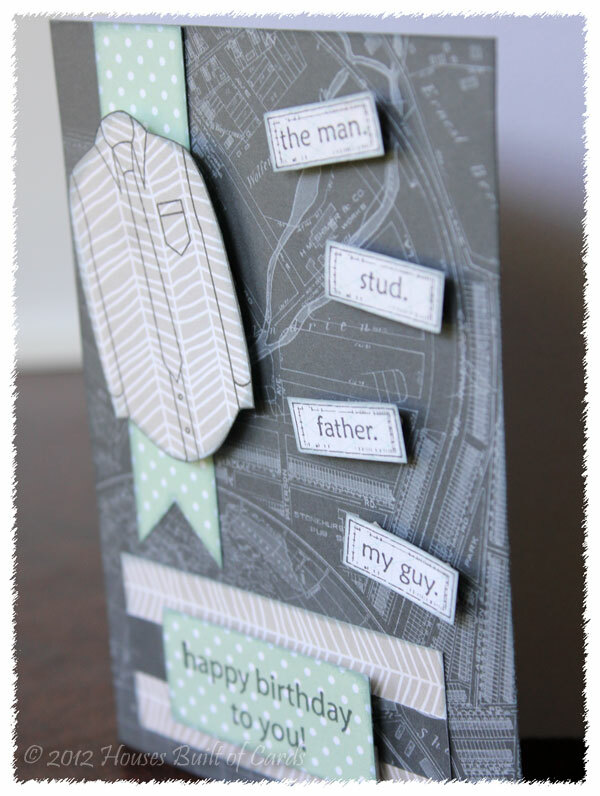 Finished off by rounding the top right corner of the card. Thanks for stopping by to visit! 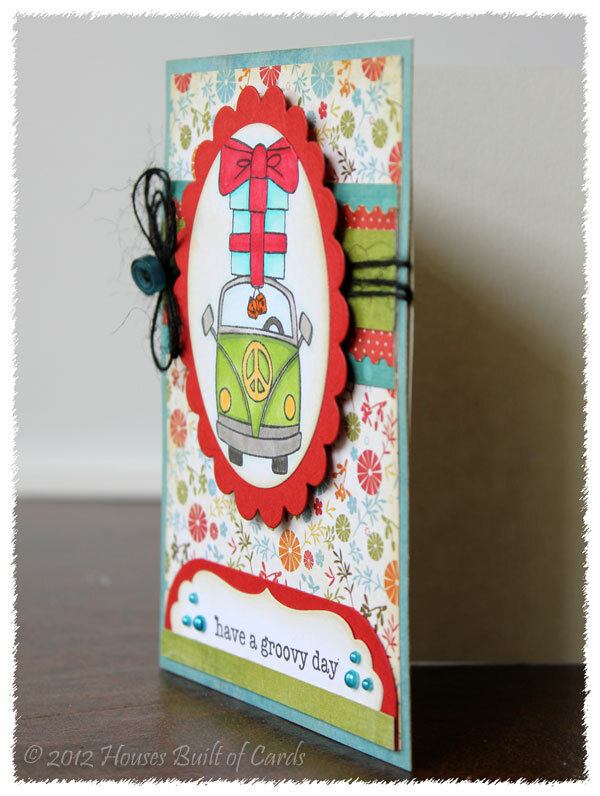 Remember to leave comments so you have a chance to win two Unity Itty Bitty's of your choice! I will draw a winner on Saturday - so make sure and check back to see if you were the lucky winner!!! Have a wonderful day!!! 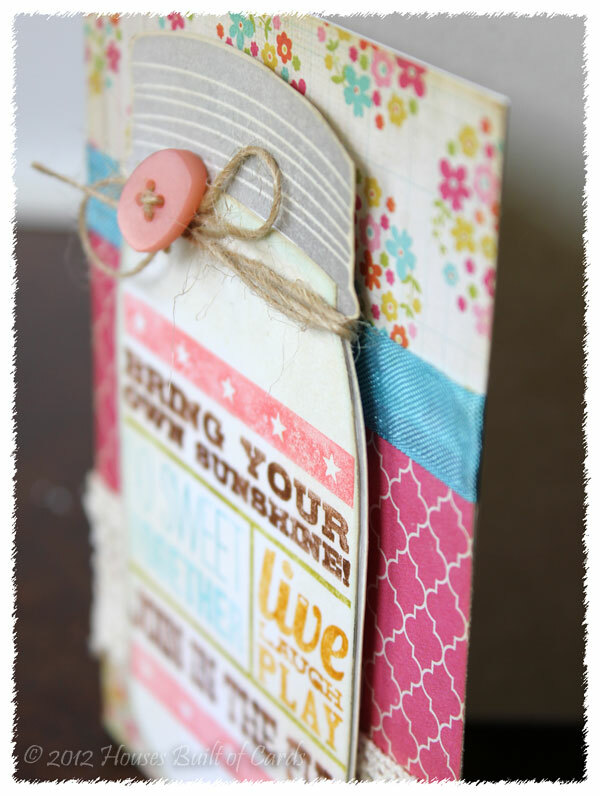 Peachy Keen Post Day - Peachy Raspberries! 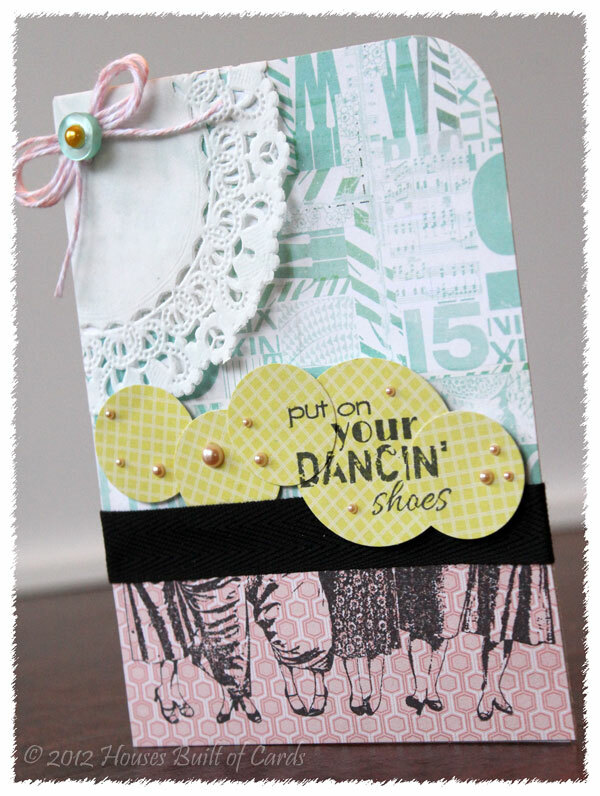 My Craft Spot Release Hop WINNER!!! 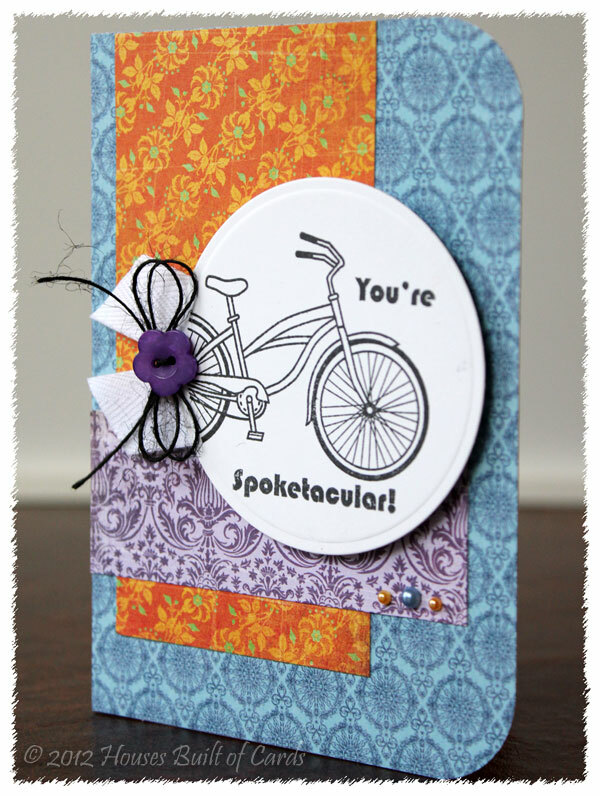 My Craft Spot - Stamp Release Party BLOG HOP!!! 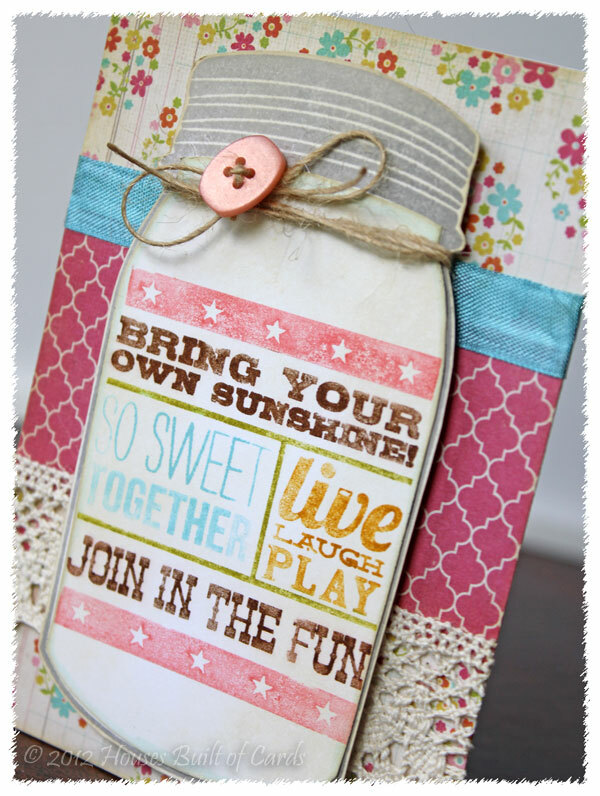 Peachy Keen Challenge - Gift Bags! Some Crafty Stuff for Sale! 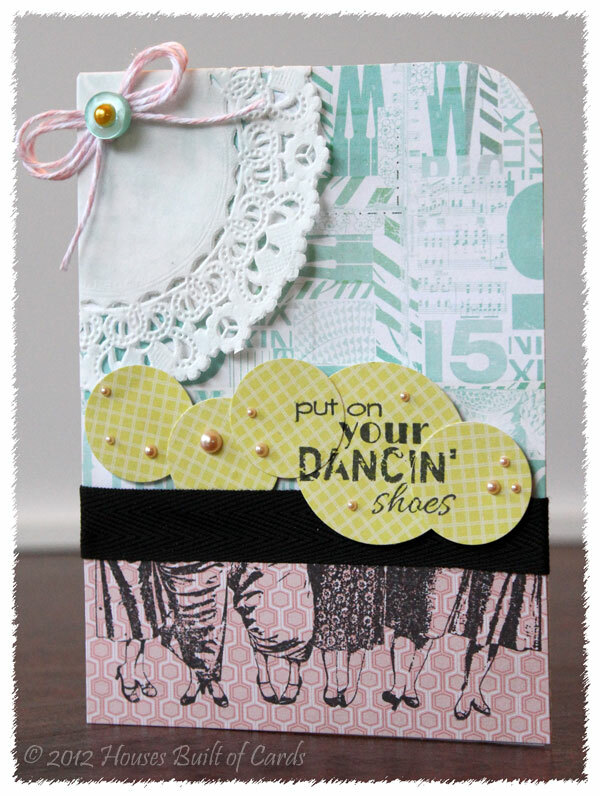 Peachy Keen New Release stamps!!! July Peachy Keen Sneak Peeks!